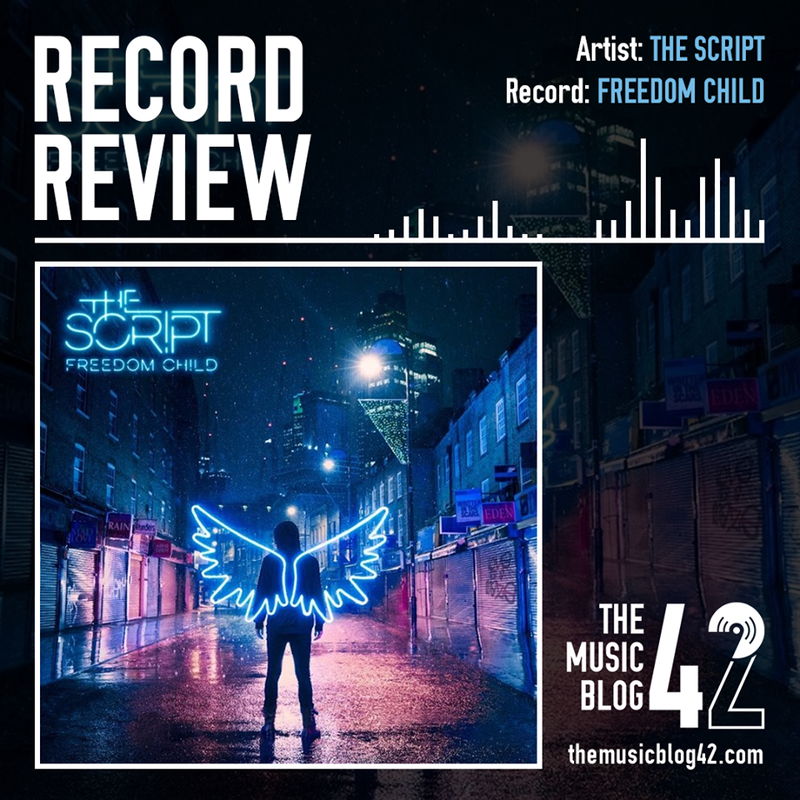 Irish band The Script return with their fourth studio record Freedom Child, a record which ultimately lacks that cutting edge found in their previous records. After the release of lead single Rain in early-July, it was clear that the band were experimenting with a different sound compared to what we heard on their previous record, the disappointing No Sound Without Silence. Not only does the aforementioned track sound very radio-friendly but very good, it falls under the same bracket as other record tracks Mad Love and Deliverance in that The Script are experimenting with different instrumentation and production. A personal highlight from the record is the opener No Man Is An Island, showcasing their new change of sound, with a reggae-sounding chorus. The track Divided States of America is another highlight, a track with a strong message with a pop-rock sound, reminiscent of the kind of music we heard on their second record Science & Faith, though lacks that little bit extra to make the message a lot more powerful. There are some great tracks on Freedom Child like the emotive but electric Written in the Scars, and the pumping Rock the World. However, I feel that at points, the record does become a bit mundane. There is a lot of filler to this like the tracks Love not Lovers and Eden. In my opinion, it would have worked easily as a nine or ten track record, but fourteen is a bit excessive considering there are only a handful of tracks that are really good. There’s no denying that The Script have a great back catalogue and have a knack for producing anthemic pop-rock. However, with Freedom Child, it falls short in substance, lacking that cutting edge to make it stand out from the other records. The record is all about positivity, but it’s hard not to look at the negatives.